21/10/14. Erbil, Iraq. 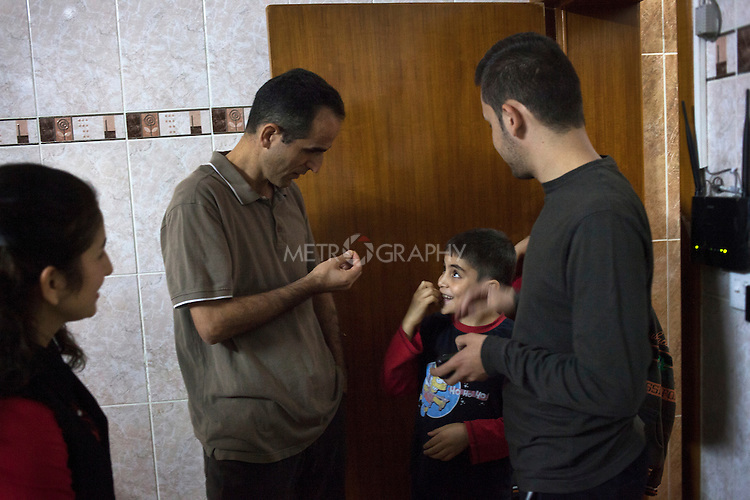 Milad and Wassam's uncle Salam (left) prepares to take the brothers out for a walk to buy snacks. Milad (centre) is impatient, Salam says, "My son, I said we are going in a minute, slow down!"